Thank you to everyone who made this conference a success. Thank you to our passionate speakers, our tireless volunteers, our board and staff, and of course, all who attended. WPIRG would like to acknowledge the support of the Centre for Peace Advancement, Conrad Grebel University College, the Waterloo Aboriginal Education Centre, and the Black Association for Student Expression. We are also grateful for the financial contribution of the Mathematics Endowment Fund. Our work only begins here. Please enter your email below to stay in the loop on continued anti-racist work in the campus and wider community. And please let us know what you thought of the conference by taking our brief survey below. Led by indigenous organizers and writers, this event will take stock of the opportunities and pitfalls faced by indigenous struggles to decolonize Turtle Island/North America at a time when the Canadian State is engaged in both a continued policy of colonization and official reconciliation. Jaydene Lavallie is a Two-Spirit/Queer Michif-Cree woman living in Dish with One Spoon Territory (Hamilton, ON). Her organizing tends toward anti-pipeline resistance, land defense, and support for Indigenous and feminist struggle. She believes direct action to be critical in the realization of her dreams for a better world. Amanda Plain is an urban Anishinaabekwe and graduate student in the Department of Philosophy at the University of Waterloo. She is interested in Indigenous feminist philosophies, epistemologies of urban Indigenous landscapes, and settler motivations for decolonization. Her research seeks to reclaim space for Anishinaabek philosophical frameworks to flourish within academic philosophy. It draws on a range of disciplines, including Indigenous critical theory, settler-colonial studies, Anishinaabek thought, feminist philosophy, and moral psychology. Amanda lives on Gdoo naaganinaa and is a member of Aamjiwnaang First Nation. Ena͞emaehkiw Kesīqnaeh is an Urban Indian, member of the Menominee Nation of Wisconsin, and diasporic West Indian/Bermudian currently living and working in the Dish With One Spoon Territory. He is a Ph.D candidate in Sociology and Legal Studies at the University of Waterloo and his particular interests are in Indigenous critical theory, settler colonial studies and political ontology. His work revolves around questions of Indigenous identity, decoloniality, sovereignty, Indigenous futurisms and the underlying eliminative logics of settler colonialism and how they are formed, enacted and maintained on the juridical, philosophical and rhetorical levels. Craig Fortier is an Assistant Professor in Social Development Studies at Renison University College, an affiliated college of the University of Waterloo. He holds a PhD in Sociology from York University. Craig has participated in migrant justice and anti-capitalist movements and in support of Indigenous sovereignty for over a decade in Toronto (Three Fires Confederacy, Haudenosaunee, and Huron-Wyandot territories). He is also the centre-fielder for the radical recreational softball team the Uncertainty and the author of the cat blog Diaries of a Cat Named Virtute. His just published book, Unsettling the Commons, interrogates a very important debate that took place within Occupy camps and is taking place in a multitude of movements in North America around what it means to claim “the commons” on stolen land. Sam and David, creators of TREYF podcast ("a debatably Jewish podcast recorded at CKUT in Montreal on occupied Kanien'kehá:ka territory") will lead us in a discussion on today’s dominant framework for understanding Anti-Semitism in North America. Together we will discuss the failures of this framework and how to work toward better understandings of the ways anti-Jewish marginalization intersects and interacts with other systems of oppression. What is the dominant framework for understanding Anti-Semitism? How does this framework fail us and our allies? How can we bring a more intersectional understanding of Anti-Semitism into our political work? 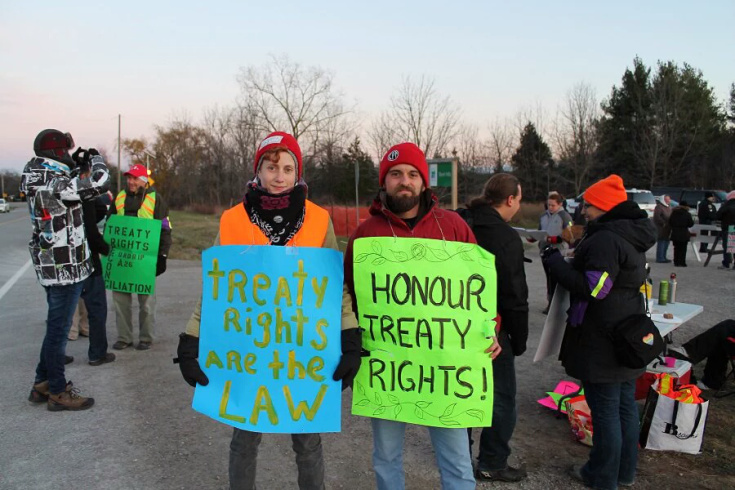 Christian Peacemaker Team members take part in a counter-protest in defense of Haudenosaunee hunting rights at Short Hills Provincial Park. As white supremacy continues to become more overt, so too are counter-demonstrations. These demonstrations can often lead to potentially tense and violent situations. Christian Peacemaker Teams has decades of experience providing accompaniment to people resisting various forms of oppression as well as human rights documentation. CPT does not believe in telling people how to protest, however we provide skills in de-escalation as it can be a way to keep people safe and is a skill all people can use. This workshop will explore practical skills in de-escalation and human rights accompaniment. While providing concrete skills, we will discuss what is de-escalation and when is de-escalation appropriate, as well as skills in by-stander intervention. Bio: Rachelle Friesen is the Canada Coordinator for Christian Peacemaker Teams. She is one of the founding members of Solidarity Against Fascism Everywhere (SAFE) in Toronto which seeks to stop white supremacy in the GTA. Recently, CPT has provided accompaniment work for the Haudenosaunee Right to Hunt in Short Hills Provincial Park. Previously Rachelle spent 5 years in Palestine doing peace and advocacy work. 2:15-3:45pm - 2202 Conrad Grebel University College, University of Waterloo. Education Not Incarceration is a team of youth, students, parents/ caregivers, educators, researchers, journalists, and community organizers in Toronto who have come together to address the school-to-prison pipeline. Recently they successful campaigned to end the presence of police in TDSB schools by ending the School Resources Officer program. Fanis Juma Radstake is a local activist, community organizer registered social worker and mother of two. 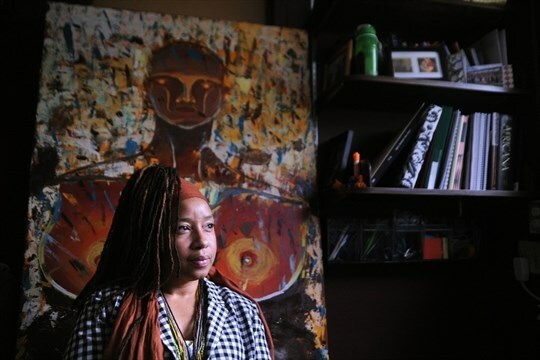 Her community practice is with the African Community Wellness Initiative and focuses on intersecting areas of food justice, racial justice and educational justice in local African, Caribbean and Black Identifying communities and communities of color. Ruth Cameron is a PhD student at Wilfrid Laurier University in Community Psychology, and the Executive Director of the AIDS Committee of Cambridge, Kitchener, Waterloo and Area (ACCKWA). She is also a member of the Ontario Advisory Committee on HIV/AIDS. Dr. Laura Mae Lindo is the Diversity and Equity Office (DEO) Director at Wilfrid Laurier University. In 2016, the DEO co-hosted the inaugural "e(RACE)r Summit on Race and Racism on Canadian University Campuses". Over the past few months UWBASE (the University of Waterloo Black Association for Student Expression) has dealt with a great deal of exposure with respect to addressing institutional barriers for racialized minorities on campus. Specifically, they are concerned with providing resources to help students, staff, and faculty effectively address racism on and off campus through initiatives such as: staff/faculty anti-oppression training, securing an environment for students to feel comfortable voicing their concerns, advocacy for more representation in academia and much more. This endeavor goes beyond the scope of UWBASE to provide for all students of colour. It needs to be reiterated that discrimination and prejudice do still exist in our society today and can have tangible effects on the learning experiences of students of colour; experiences which some executives of UWBASE will be describing in depth. Some argue that contemporary Islamophobia is a continuation of Orientalism, and that the two phenomena cannot be understood and analysed separately from each other. We are interested in exploring the various facets of the Orientalist perspective and in observing continuities and breaches within it. Together in this teach-in we will unpack the historic origins of orientalist propaganda and how it continues to impact islamophobia rhetoric in mainstream media today. It will begin with a 45-min open discussion where we will provide context and clarify vocabulary and themes. The intent of a teach-in is to build capacity for participants to engage with the topic's jargon and themes. We will share reflections on the mainstream narrative of Islam and Muslims, and discuss ways to offer a narrative that is more reflective of the day to day experiences of Muslims generally, and of Muslim women specifically. Bio: Rowa Mohamed is a London-based multidisciplinary Black Muslim feminist activist, organizer, and anti-oppression educator. She is facilitator with a passion for community building and empowering all women. Her work addresses the intersections of the themes of equity, race and gender based violence, islamophobia, Queerness and the intersections of the many places, spaces and ideas that she identifies with. In this interactive keynote, Lukayo will use anecdotal stories and group work activities to explain oppression, privilege, and how folks can work together so that no one’s left behind. Emphasis will be placed equally on oppression theory (history, logic, and levels) as well as liberation strategies tailored for participants` ongoing or future projects. 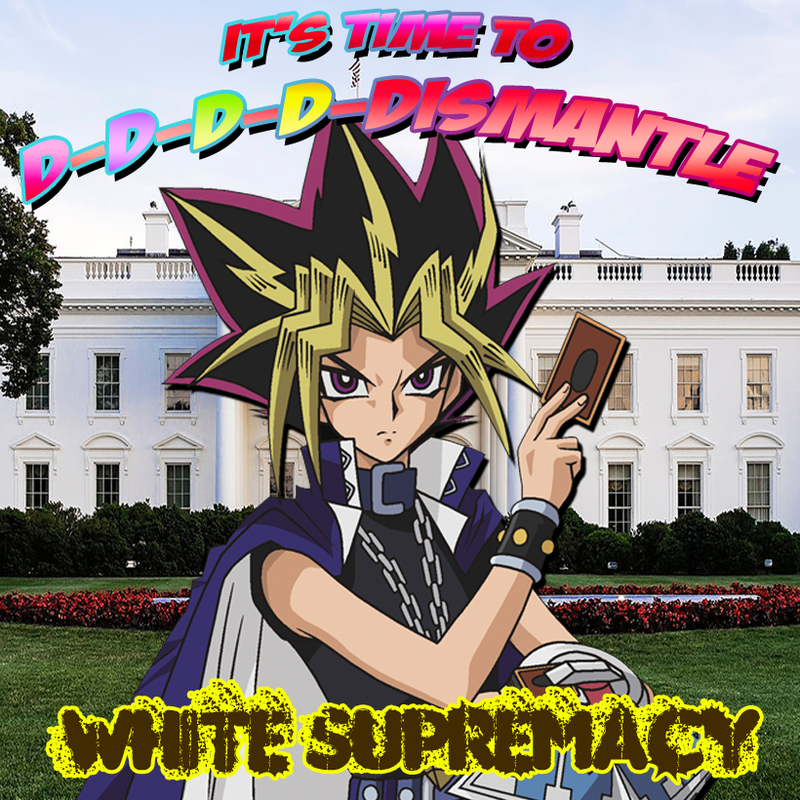 Drawing on an intimate knowledge of online gaming and other online communities that have given rise to trolling, as well as years of online organizing experience, this workshop will present a step by step how to guide for challenging white supremacy (and other reactionary ideas) online. Rabbi Lucia Pizarro and Lina from McMaster BDS will answer questions relating to topics focusing on anti-zionism as anti-racism and BDS. Questions for Rabbi Pizarro will include topics such as the difference between anti-semitism and anti-zionism and the recent travel ban by Israel of 20 BDS-supporting groups, including Jewish Voice For Peace. Questions for Lina will include topics such as walking us through McMaster's successful BDS resolution, and updating us on progress since the resolution was passed. 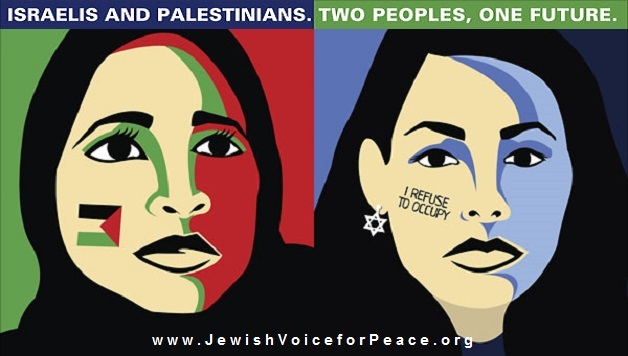 Boycott Divestments and Sanctions (BDS) is a non-violent movement to pressure the state of Israel to end its occupation and discriminatory policies. Rabbi Lucia Pizarro is the Founding Spiritual Director of the Jewish Liberation Theology Institute in Hamilton, ON. She was born in Mexico City, where she became qualified to practice law. She completed an M.A. and a Ph.D. in Philosophy at the University of Essex in the UK. She followed her academic passion for Jewish thought with four years working for social justice in Palestine. She recently became a mother and a Rabbi. What is security culture? How have organizers been targeted for their political work? What are the dangers or implications of resistance? This workshop uses the stories of organizers who have experienced infiltration and disruption by the state at the Toronto G20 to consider the ways that we can work to create more resilient cultures of resistance. This workshop will introduce the concept of security culture as a set of considerations for movements that are continually being attacked by the state, police and reactionary right elements. In particular this workshop will focus on infiltration as a specific tactic of disruption and repression. Participants are invited to consider how they can have further conversations about risk, solidarity, strategy and support in their own organizing contexts. This event will feature of a panel of University of Waterloo and Waterloo Region-based speakers with direct student and working experience in STEM fields. The speakers will address different ways racism manifests in STEM fields (science, technology, engineering, math) from personal experiences with racism from colleagues or fellow students, to the complicity of STEM fields in colonialist environmental racism, to racism as embedded in technology itself. Fatema is a 4th year computer science student at the University of Waterloo. She has been volunteering with WPIRG since her first year, and has also chaired the Women in Computer Science Undergraduate committee. As a coop student, she has worked at places like Facebook, Yelp and Rackspace. She's really trying to make tech less awful. Fatema argues that an algorithm can absolutely be racist, sexist and biased. An algorithm is only as good as the dataset it is trained on and the team working on it. As such, all the problems that tech experiences with bias and systemic discrimination slip right into its algorithms. Fatema will be discussing the real-world impact of these problems, as algorithms become more ubiquitous in our daily lives. Filzah Nasir is a graduate student in Civil Engineering. Her research focuses on the relationship between air quality and human health. She will discuss the risks of environmental harm faced by already vulnerable populations in Canada. Carla Fehr is an Associate Professor (Wolfe Chair in Scientific and Technological Literacy) in the Philosophy department at the University of Waterloo. Her research areas include Philosophy of Biology, Feminist Epistemology and Philosophy of Science, Feminist Science Studies, Philosophy of Science. She will be speaking about the need for good data to support anti racists interventions in STEM. A team member of leading global innovators including Nike, Nokia, and Apple. Have all been training for her current role leading Innovate Inclusion. Innovate Inclusion advocates for the intraprenurial and entrepreneurial success of underrepresented communities with a focus on technology. This is accomplished by providing awareness and access to resources and programming Through her work, Jessica wants to impart the ideation of innovation in all streams of entrepreneurship. And connect the tech ecosystem to delete the digital divide; Creating an equitable playing field in the innovation economy that reflects and benefits all members of our global community.